A surd is said to be in its simplest form if the number under the root sign has no perfect square as a factor. For eg. √12 = √4 x √3 = 2√3. There are few questions on which questions are asked in the exam. There are direct trick and also very useful for time bound exams. - See the above types of surds mentioned, here i have solved the question of different types. These types of questions can be asked in the exam and then, you no need to solve the whole question. You can directly apply the formulas mentioned in the above image and get the answer. to choose the correct answer, see the sign used. "+" sign has been used. Hence, answer will be 3. 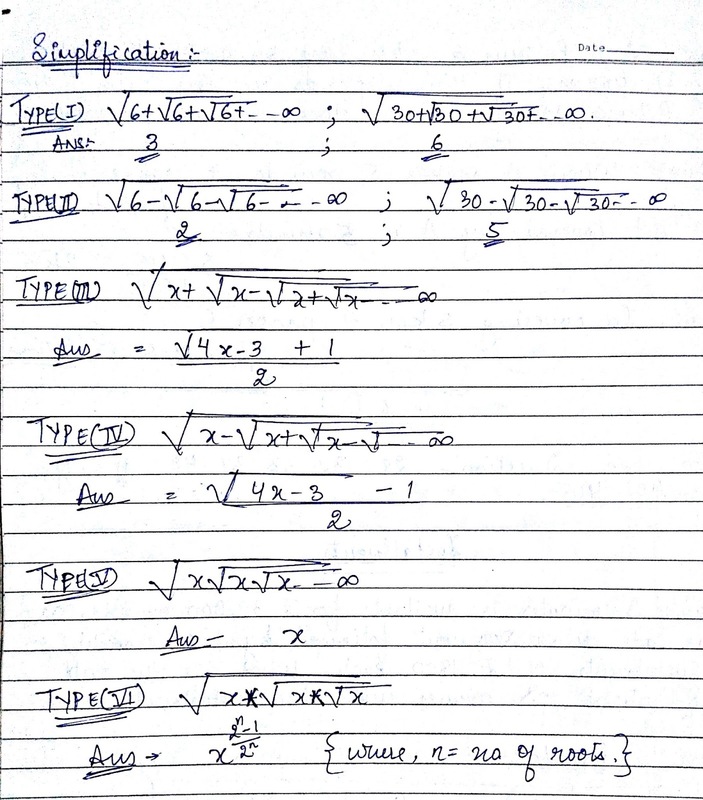 All the types of questions are solved on this method and derived the formula, so that your precious time in the exams can be saved. 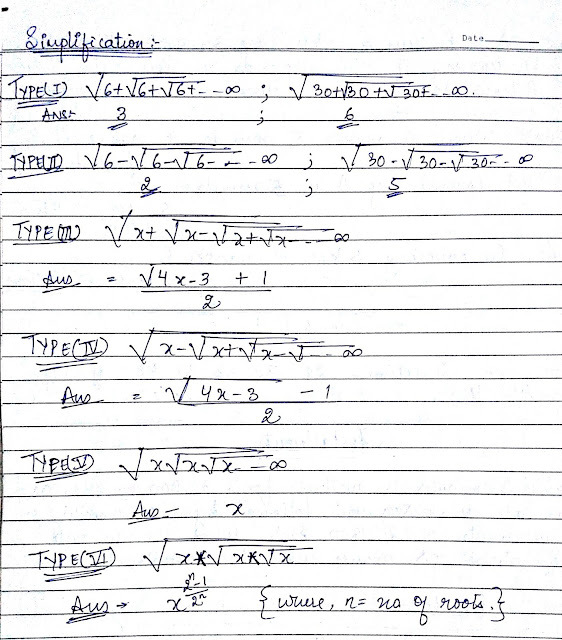 Comments "Few useful tricks to solve Surds questions for Competitive exams"